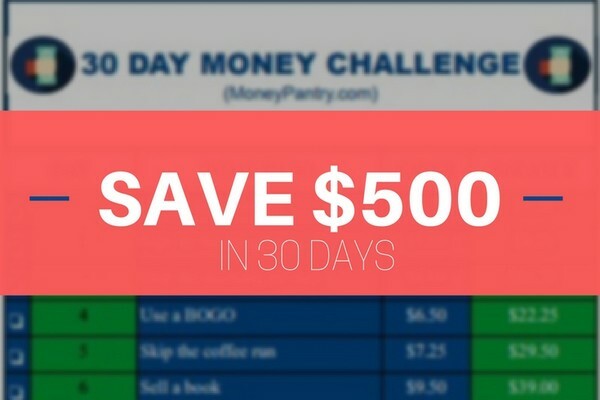 Walmart Savings Catcher App Review: The Ultimate Guide (+Hacks) to Save & Earn More! Walmart Savings Catcher app was introduced in 2014. Although Walmart prides itself on its low prices (which is one of the reasons it’s the largest grocery retailer in the United States. ), it doesn’t always have the lowest price for everything. Sometimes, another store might have an offer on that makes a product cheaper than it is at Walmart. That’s why Walmart has introduced Walmart Savings Catcher. 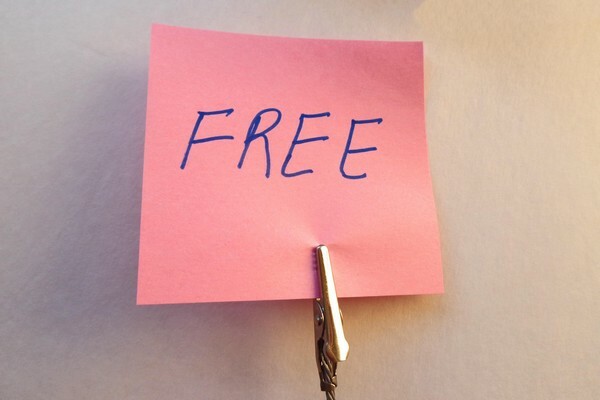 While many stores give you savings before you hit the checkout with buy one get one free offers and 10% off discounts, Walmart Savings Catcher gives you to save retroactively. That’s right; Walmart gives you the chance to save money after you’ve purchased your items at the store. If you often shop there, then it’s definitely worth checking out this handy feature. Here’s all you need to know about saving money with Walmart Savings Catcher. Walmart Savings Catcher is another feature that Walmart offers to save you money. Essentially, it’s a price matching tool that refunds you the difference if you pay more for a certain item at Walmart that’s available for a lower price elsewhere. It can be used online, through your laptop or desktop PC, or you can use it through the Walmart app on your phone. Here’s how it works for both. Visit the Walmart Savings Catcher Website here. Login to your account or sign up if you don’t already have an account. Enter the TC number from your receipt. You’ll also have to enter your date of purchase. Savings Catcher sends you the savings results by email within 72 hours. Follow this simple guide on uploading your receipts on the app. If you don’t already have the Walmart app, then you need to download it, and create an account. You can download the Walmart app for iOS here and Android here. Or, just load the app if you already have it. Once you’re signed in, navigate your way to the “Shop” tab and select the “Savings Catcher” option. Now, tap on the “Add a Walmart Receipt” option. Take the receipt you want to scan, and locate the QR code – this is what you’re going to want to scan. If the receipt doesn’t have a QR code, then scan the barcode instead. If you’re having trouble getting the barcode to scan, then you’ll need to select the “Type Receipt Info” option and enter the barcode manually. After you’ve scanned the receipt, Walmart will send you an email letting you know that they are validating it. What types of items does Savings Catcher compare? Once you’ve scanned your receipt or have entered your receipt details, Savings Catcher finds and reviews ads from close retailers. It looks for ads that match eligible items on your receipt. Savings Catcher then compares the prices in these ads to the price that you paid at Walmart. If there’s a difference, then you’ll earn Rewards Dollars back. So, let’s say you buy a 121 ounce bottle of Clorox bleach at Walmart. If there’s on offer on at another store for a 116 ounce bottle of Clorox, then this won’t be eligible for matching by Walmart Savings Catcher, because the product is not identical in size. You might be wondering whether Savings Catcher compares all items on your receipt. It does compare most of them, meaning you have the chance to save on the majority of items you purchase at Walmart. Groceries – your typical pantry food stuffs, like yogurt, milk and cereal, as well as frozen foods. Health and beauty items – things like conditioner and makeup. Consumable goods – things like paper towels and laundry detergent. General merchandise items – such as office supplies, DVDS’s, electronics, toys, small appliances, home décor items, magazines, books, furniture and jewelry. Tobacco, alcohol, gasoline, tires, prescription drugs, optical and photo products and services and any items, like financial products that require a service agreement. Any item that doesn’t meet the Savings Catcher Eligibility criteria, which you can read more about here. If Walmart finds a lower price for eligible items on your receipt, then they’ll notify you. Walmart usually notifies you within 72 hours of receipt submission. If they haven’t contacted you within this timeframe, then you can contact Walmart on the website here or you can visit the “Give Feedback” section off the app. When Walmart contacts you, it will let you know how many “Rewards Dollars” you’re owed. When Savings Catcher finds a price advertised by a competitor, like Aldi, that’s lower than the price that you paid for the identical item at Walmart, you are paid the difference in Rewards Dollars. So, let’s say you paid $4.58 for a 23.6 ounce box of Cinnamon Toast Crunch Cereal at Walmart, but at the time you purchased it, Target had a promotion on for 10% off this cereal, so you paid just $4.12 for the cereal, then you’ll get $0.46 back in Rewards Dollars. If you’re using the app, you can view your Savings Catcher Reward Dollars by tapping the “Your Rewards Dollars” tab on the home screen. If you’re using the website, then visit the Savings Catcher Savings Summary section. You’ll be able to see the rewards that you’ve accumulated clearly. You can redeem your Rewards Dollars to a Walmart Rewards eGift card. This can be used both online and offline, at any Walmart store, which is really handy! If you’re a Bluebird by American Express Card Member, then you can have your points redeemed in the form of Walmart Buck$. These are credits put on your Bluebird card that you can use to buy things exclusively at Walmart, again both offline and online. Walmart will send your eGift Card to the email address that is associated with your account. You’ll need to print out the email with the barcode, and then give it to the cashier at the checkout at a Walmart Store. If you’re shopping online, then just enter the Walmart Rewards eGift Card number and pin when you make your purchase. What’s really convenient is that Walmart simply loads any Rewards Dollars you earn in the future onto the same card, so you don’t need to try to keep track of different cards. Just remember to keep your eGift card safe, because anyone could use it if they found it. What’s also handy is the fact that you don’t have to use your whole gift card balance at once. Any remaining funds stay on the eGift Card, meaning you can use it again later. Walmart recommends that you save your eGift card to your Walmart account, so that you can easily access it and view the balance. If for some reason you can’t find your eGift Card, you can request another one from Walmart. Simply select the “My Reward Card” option and then click “Resend my eGift Card”. As with any savings program, there are a few limitations in place with the Walmart Savings Catcher feature. You can’t scan receipts that are more than 7 days old – Walmart won’t accept them. At the time you made your purchase at Walmart, the competitor ad must have been valid during the same period, and include a specific item price. Savings Catcher only applies to things that you buy in-store. So, you can only upload in-store receipts – online purchases don’t count. This is a little bit of a drawback if you do most of your shopping online. Savings catcher only accepts receipts from stores in the United States, including Puerto Rico. So, if you live in Canada or Mexico, you won’t be able to participate. Items placed in layaway aren’t eligible for Savings Catcher. Savings Catcher works by analyzing ads, promotions and circulars from top competitors in your area, and refunding you the difference if it finds a store offering a lower price for a product you bought at Walmart. But, there are some limitations when it comes to what promotions Savings Catcher includes. As mentioned above, not all items are eligible for price matching – you won’t get a price match refund for stuff like DVDs and games as you read earlier. But, that’s not the only limitation in place. Items with closeout or going out of business prices. Products that give you a gift card if you make a specific purchase, like “buy 3 packs of cereal to get a $5 gift card”. Items that don’t have a specific price that require you to buy something to get a free product, like “buy oatmeal with cereal and get milk for free”. Products that require a separate purchase for you to get the advertised price, like “get $1 bleach when you spend $25 in store”. Goods with a general percentage off offer like, “all lipstick 40% off”. You can find out more about the types of promotions that are and aren’t eligible with Savings Catcher by visiting this page. Walmart Savings Cather is an excellent price matching tool that can save you money on your everyday purchases. Overall, it’s a really beneficial program, especially if you do a lot of your shopping at Walmart. Savings Catcher is beneficial in the sense that it makes saving money an automatic process. When you go shopping, you don’t have to lookout for deals, compare prices, use any promo codes, or anything like that. You simply shop as normal, then scan your receipt and Walmart Savings Catcher handles the rest for you. This is such a good way to save money on your shopping if you’re in a rush and don’t have time to take coupons to the store with you. If you do have the time, then you should definitely consider using coupons at Walmart too, as you can use them even if you plan to use Savings Catcher. Savings Catcher simply compares the original price of the item at Walmart, before you applied to coupon to other stores’ advertised prices for the same item. For example, if you have a coupon for $0.50 off shampoo, and the shelf price was $3, and you only paid $2.50, and another competitor advertised the same shampoo for $2.00, then Savings Catcher will still credit you $1.00 even though you only paid $2.50 at Walmart. Check out our post on how to coupon at Walmart for tips and tricks on using coupons for maximum savings at the store. Another great aspect of Savings Catcher is just how easy it is to use. The app is really simple to navigate and you don’t need to tap through multiple screens to try to find what you want. Everything is clearly laid out, making scanning your receipts, and transferring your savings an easy process. And, the website offers a just as user-friendly interface. With the Walmart app, you can also view your eReceipts, shopping history and previously earned Rewards Dollars. This is ideal if you’re on a budget because you can easily check your spending habits and track your savings. 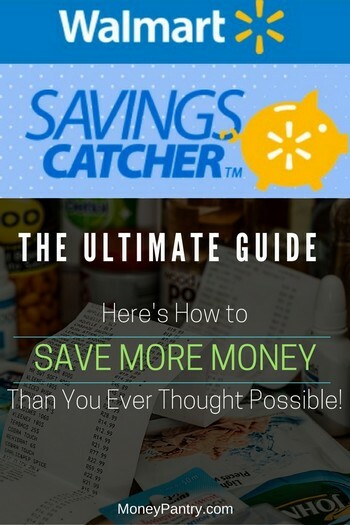 Overall, Walmart Savings Cather is a really good money-saving tool that’s definitely worth having for anyone who regularly shops at Walmart. It’s a really easy way to ensure that you get the best price for your shopping, and it just makes the process of saving money on everyday purchases a whole lot easier.